Leaving Literature Lane and heading west along Little Lonsdale Street, you will stumble across Finlay Lane. Often forgetten and left off street tours, Finlay Lane is a deliberate end of this particular tour, as it presents a unique aspect of street art at night, and serves as the culmination of each of the preceding stops. Where Hosier Lane and Union Lane focused on the experiential nature of street art at night, and Croft Lane and Literature Lane focused on the role of changing light, Finlay Lane reveals the unique way nighttime can turn a space into an "exhibition" of unique works. Your experience of Finlay Lane should build upon the focus on detail required at each of the previous stops. Finlay Lane is lit up by a very limited number of lights. The odd lit window above shines down, while two flourescent tubes draw the your eye to two small alcoves spaced along the laneway. 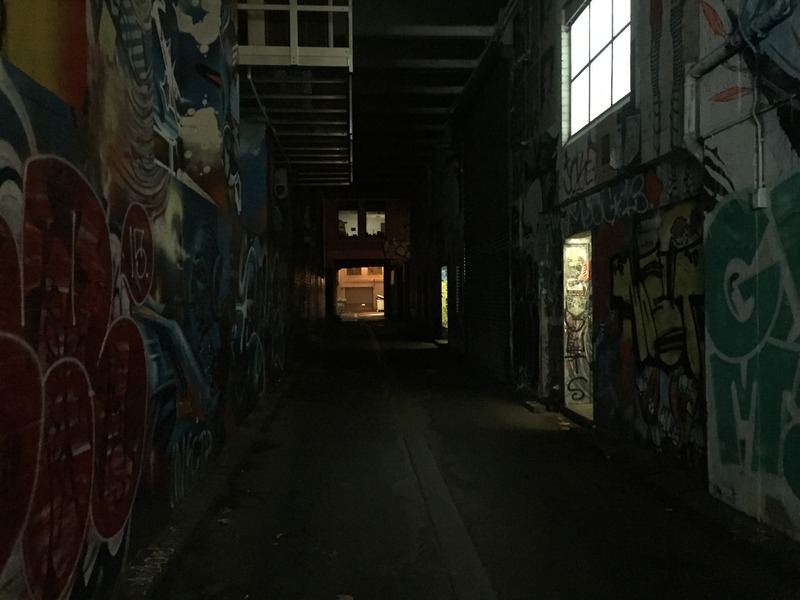 During the day, the focus of this laneway is on large tags and murals across the left wall, however at night the spotlight is purely on these two alcoves. 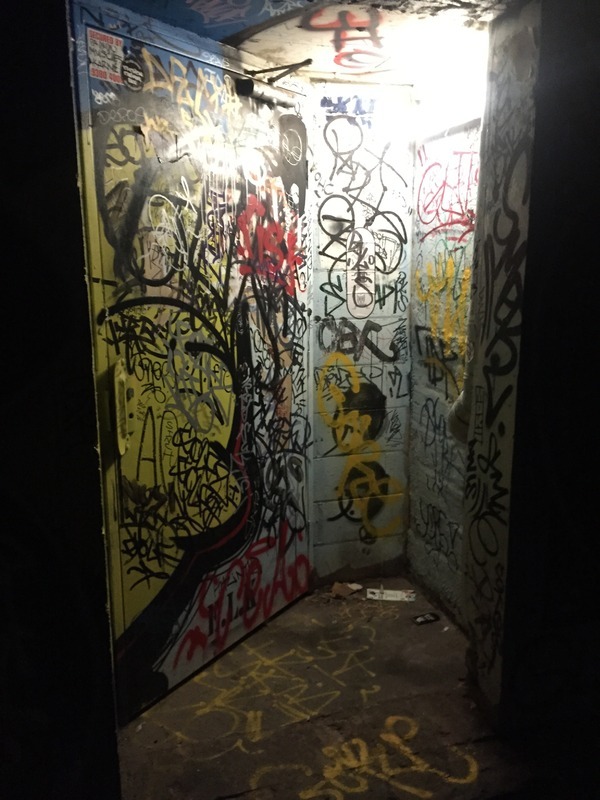 Both of the alcoves are filled with an eclectic mix of tags, paste-ups, stickers and objects, presenting almost every level of street art, from the 'least-acceptable' graffiti tags, to the 'artistic' stickers and artworks. Standing in one of these alcoves presents one of the truths of street art in the Melbourne CBD: that there is a real sense of danger, grunginess and disconnection from traditional artforms and that despite these factors, there is a clear beauty to the way that these alcoves are, somewhat accidentally, presented as the focus of the laneway at night. Finishing this tour in one of these alcoves, you should understand that street art exists across skill level, location, and legality, and that every piece of street art is shaped by, and shapes, the changing space in which it exists. “Finlay Lane,” Street Art deTours, accessed April 20, 2019, http://streetartdetours.com/document/1155.